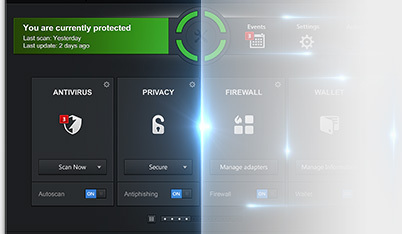 Bitdefender Photon™ Technology, in the new Bitdefender product line. What is Bitdefender Photon™ Technology? And how the Photon Technology integrates with the new Bitdefender product line? Since the invention and development of antivirus programs, it has either the performance of your computer or its security. It was never really possible for the two situations to work in synchronization. The prime reason was that the antivirus programs used up huge memory resources while scanning for potential threats which often concluded with the computer crashing down. It really has been a tedious task for the developers to introduce something which would keep your system safe without compromising with the overall performance and with the introduction of the Bitdefender Photon™ Technology; optimization is at its zenith. The algorithm which forms the backbone of the most innovative and powerful scan program actively participates and learns continuously and in due time, minimizes the time required to complete the scan. It is achieved by categorizing all the available programs on the machine on the basis of their reputation and the trust level. Hence, by using file-fingerprinting, a method which gives a unique identity to the program, it is able to identify files which have a “safe” reputation and thus, the scanner bypasses it if the last configuration of the file’s fingerprint, matches the fingerprint of its original copy. If not, the antivirus/ antimalware sequence is triggered and the files are checked. A revolutionary addition to the process of immunizing computers is the retrieval of updated definitions from the cloud. This way, the antivirus selectively scans the components and thus, does what it is supposed to do- increase the speed and overall performance. With the introduction of Photon by Bitdefender in early 2013, this is a major update and it has opened new doors in the field of developing scanning software. Photon does not require a constant connection to the internet since the database of trust levels and fingerprints is stored locally, thus optimizing internet usage as well. 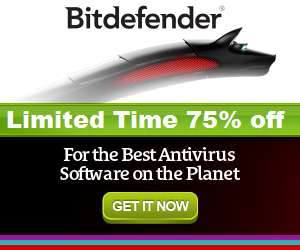 Unlike normal antivirus programs, the Bitdefender Photon™ technology does not bother the user with frequent update requests. Concluding, the newly launched update has been rated as “very fast” while not negotiating with even a single threat. The resources are allocated smartly with most of its concentration on files which are infected or are prone to infection.